In our infinite quest to download the internet, we found this pic and thought it would be cool to share it with you. The Chevy hauler you see here is slowly being taken in by mother earth next to Highway 281 between Lampasas and Burnet, Texas. 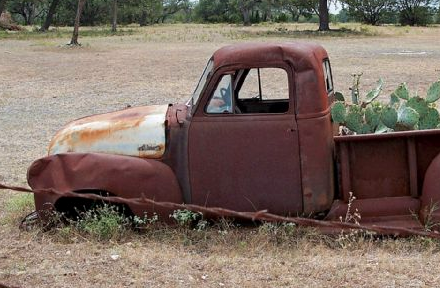 But it looks like the ol’ Advance Design pickup has a way with vegetation, as it makes for an interesting and fairly unique cactus planter. Hit the source for high-res pictures. Previous story Chevy Cruze Selling In Indonesia Due To Pres. Obama Endorsement? Next story Spied: Another GM Pickup Caught Testing – Will It Come To The US?